Next week may be the first huge release week of the year, featuring new albums by the Shins, Of Montreal, and Deerhoof, but there are two interesting album releases this week. The Smithereens have an album of Beatles covers, Meet the Smithereens, A Tribute to the Beatles, and 70's band America has collaborated with artists like Ryan Adams and Ben Kweller for its album, Here & Now. 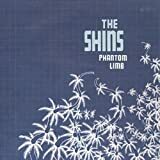 As interesting as these releases are, my only music preorder was the Shins' Phantom Limb single. What new releases are you picking up? Anything worthwhile missing from the list? Though I didn't order any DVDs this week for myself, I did preorder the second season of the new Doctor Who for a friend's birthday and the seventh season of The King of Queens for my wife.